local restaurateurs Aaron Silverman of Rose’s Luxury and Frank Linn of Frankly... Pizza! 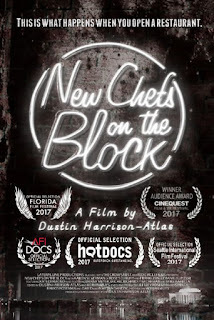 New Chefs on the Block, the DC dining scene-focused documentary from local filmmaker Dustin Harrison-Atlas, will open exclusively at Landmark Theatres’ E Street and Bethesda Row Cinemas on Wednesday, April 4, 2018 with special appearances by local celebrity chefs and restaurateurs. A multi-year portrait of two DC chefs as they struggle to open and maintain their first restaurants, the film stars Aaron Silverman of Rose’s Luxury in Barracks Row, DC and Frank Linn of Frankly... Pizza! in Kensington, MD. A 2017 AFI DOCS Film Festival “Spotlight” Selection, the documentary features interviews with legendary chefs and restaurateurs Danny Meyer (author, “Setting the Table”), Michel Richard (two-time James Beard Award Winner), Mike Isabella (Bravo’s Top Chef All-Star) and Washington Post food writer Tim Carman. Finalist for The Taste Awards and winner of the 2017 Cinequest Audience Award for “Best Feature Documentary,” New Chefs on the Block will be released by Landmark Theatres in 14 cities on Wednesday, April 4, 2018 for a limited run. The iTunes, VOD and DVD release will begin April 17, 2018 through Gravitas Ventures. Post-Screening Q&A featuring Rose Previte, Compass Rose and Maydan owner, Brad Deboy, Executive Chef at Ellē restaurant and Chris Morgan, Co-Executive Chef at Maydan. Post-Screening Q&A featuring Reid Shilling, Chef/Owner, Shilling Canning Company and Andrew "Drew" Adams, Executive Chef - Bourbon Steak. The Washington Post’s Tim Carman will be in attendance. For more information and advance tickets, please visit https://www.landmarktheatres.com/washington-d-c/e-street-cinema/film-info/new-chefs-on-the-block. New Chefs on the Block is an intimate, multi-year documentary portrait of two chefs and their staffs in Washington, DC who struggle to open and maintain their first restaurants. The film begins with each restaurant under construction and follows them through their first year of business. Against all odds, one becomes the most famous new restaurant in America, winning Bon Appetit magazine’s Best New Restaurant award and a James Beard Foundation Award for Best Chef Mid-Atlantic. The other chef redefines success while his wife mulls leaving her high-paying job to work at the new pizza shop full-time. Starring Aaron Silverman of Rose’s Luxury and Frank Linn of Frankly... Pizza! Dustin Harrison-Atlas has lived in the Washington, DC area for the last 17 years. 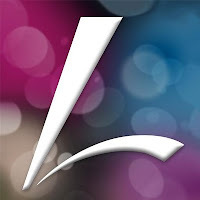 He is a George Washington University and American University alum, that worked for Discovery Communications before starting a successful freelance business. In 2011, he was named a “Rising star in documentary filmmaking” by Link TV. NEW CHEFS ON THE BLOCK is his feature debut. New Chefs on the Block was co-produced by Washington, DC native Adrian Muys and Executive Produced by Shirley Ramos Roseman and Jeffrey Roseman along with David and Martha Dantzic.